Blog: Apologetics for Campus and Church Invitation Part 6: Bible Corruption? One of the objections I hear on college campuses about the Bible is that it’s been corrupted over the centuries due to copy and translation errors. 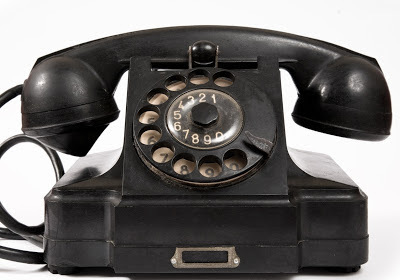 An analogy often used is the telephone game: A group of people whisper a certain phrase around a circle, corrupting the phrase further with each succeeding “transmission,” the end result sounding markedly different than the original. Thus, “I ate toast this morning” might turn into, “I hate the coast and I’m in mourning,” by the tenth person or so. Critics point out that the Bible isn’t a circle of just ten transmissions, but hundreds, and not composed of only a single phrase, but thousands — often copied in low-light conditions by unskilled labor. Hardly a recipe for accuracy and reliability. In fact, it’s been estimated that there are some 400,000 “variants” (mistakes) in the ancient texts. 1. Minor errors: 99% of the variants are minuscule, such as spelings of cities, and obvious omissions and and additions. 3. Unaffected doctrine: No central doctrines of faith are affected by unresolved manuscript variants. There is much more to be said on this topic. Minimally, my hope in this short post is to give you some confidence that the charge of “Bible corruption,” often heard in the media, pop culture (and on college campuses), isn’t true. * For an excellent overview of how scholars study early manuscripts, see Timothy Paul Jones, Misquoting Truth, esp. ch 2. ** See Ehrman, Misquoting Jesus, ch 3 (Kindle location 1412).